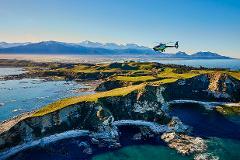 Take off over the Pacific Ocean for a scenic tour around our stunning Kaikoura Peninsula, keeping an eye out for playful New Zealand Fur Seals, seabirds or even the resident dusky dolphins. 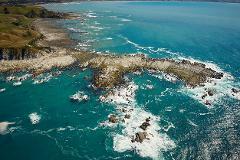 Forty minute flight including landing up the coast of Kaikoura to view earthquake damage from the 2016 magnitude 7.8 earthquake. 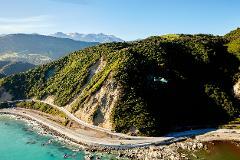 Sights include Clarence Valley, Hapuku Dam, and changes on State Highway 1 North, and the Papatea Fault. 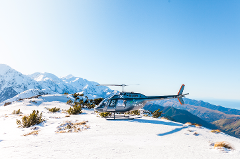 Fly to untracked terrain on our exclusive heli charters to explore the untouched powder of some of New Zealand's best backcountry locations in the Kaikoura Ranges. 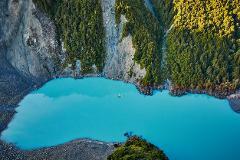 An epic adventure, exclusive alpine and snow landings.